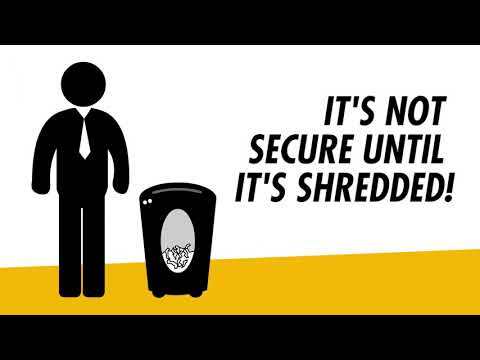 Fellowes offer the leading range of shredders in the UK allowing you to destroy your unwanted documents both safely & securely. Available for both personal or business use. Take the hassle out of shredding with Fellowes autofeed shredders. Simply put your paper into the shredding drawer and the machine will do the rest for you. Efficient and sleek, it's an office essential. Including the top selling PowerShred 99Ci, the Fellowes range of Small & Medium Office Shredders offer a sleek design to fit neatly next to your desk whilst offering tremendous shred power to destroy your documents quickly & securely. Featuring continuous duty motors, huge sheet capacities and a range of unique features, common shredder problems such as paper jams and overheating motors are a thing of the past. Fellowes' German Made Fortishred models allow shredding	up to Din Level P-7 for the ultimate high security shredding. This is ideal for specialist industries that require the quick and secure shredding of highly confidential documents. Fellowes have a large choice of Executive Desk-Side models (including the Which Best Buy 62mc) designed for single person use in addition to a shared machine in an open plan office or in smaller offices/at home as a reliable & visually appealing machine. Fellowes have a large range of sturdy plastic shredder waste bags for most of their machines making them much easier to empty. Shredder Oil is also available to keep your machine running to maximum capacity. 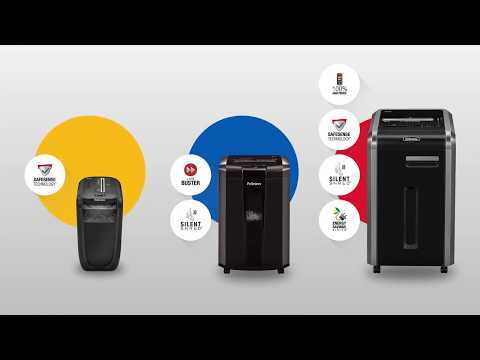 We have a huge catalogue of Fellowes Shredder videos that can be found on the relevant product detail pages just below the product image.